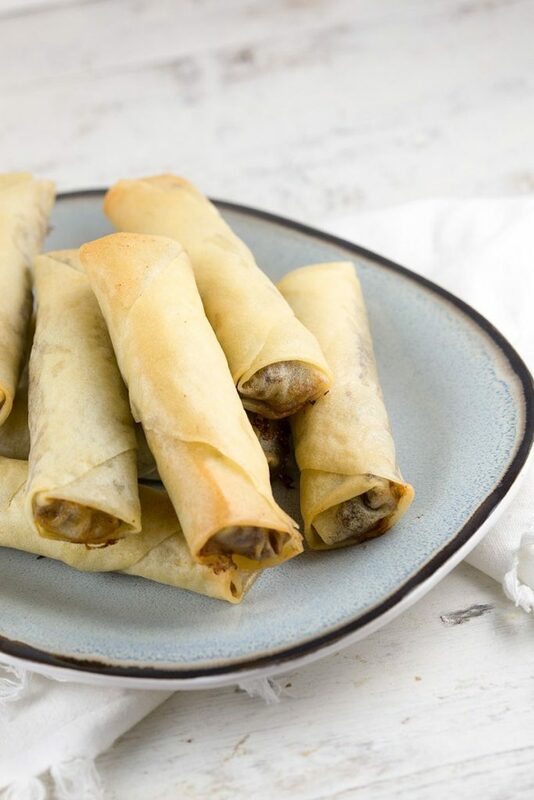 These spiced ground beef phyllo dough rolls are amazing because of the crispy outside and all the different spices we've used. 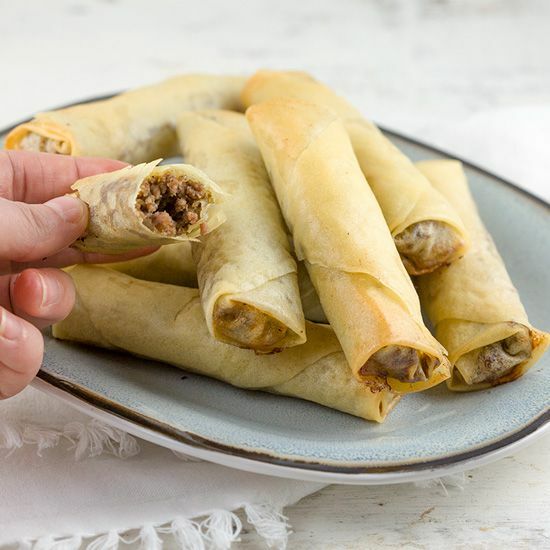 Start with the ground beef filling, because it needs to be cooled off to roll. PEEL and finely chop the onion and garlic cloves. HEAT olive oil in a medium-sized skillet and sauté the onion and garlic for a few minutes. 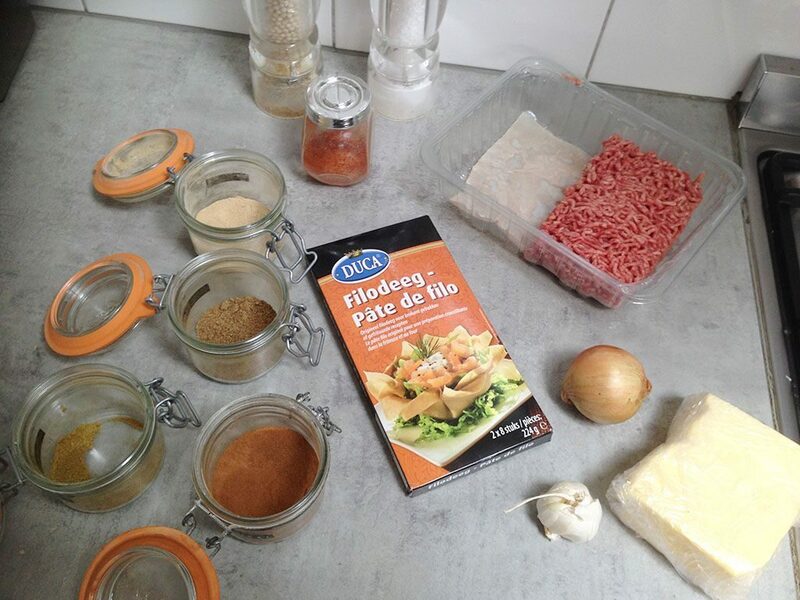 ADD the ground beef and after another few minutes also add the cinnamon, ginger, coriander, cumin and chili. SEASON with pepper and salt and let the filling cool off completely. 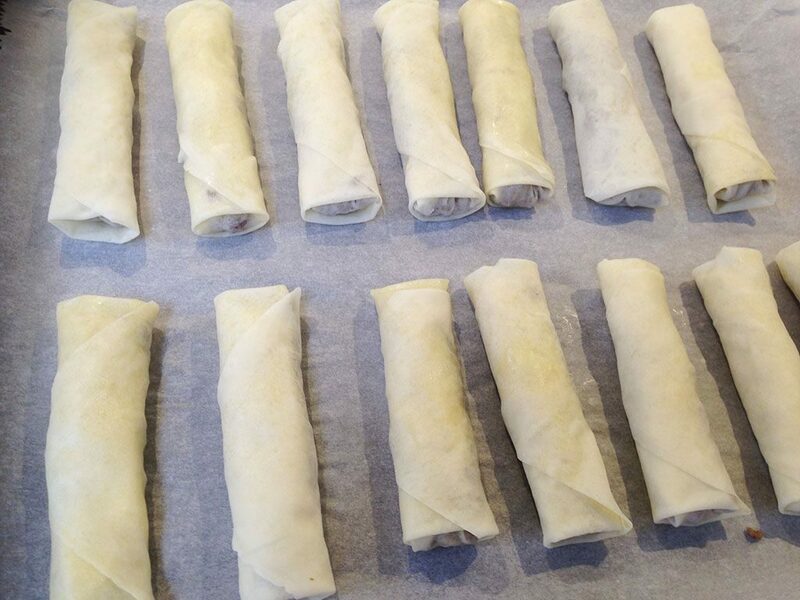 Make sure the phyllo dough is completely thawed and melt the butter. PRE-HEAT the oven to 180 degrees Celsius or 350 degrees Fahrenheit. COAT a piece of dough with melted butter and place it in front of you pointing towards you. 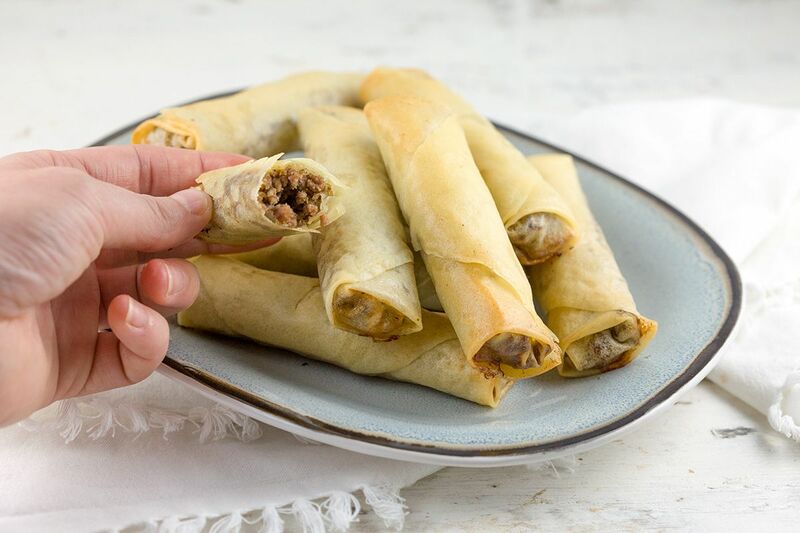 DIVIDE a spoonful of ground beef filling on the bottom of the dough and fold the sides to the middle. ROLL the dough upwards, it will stick together because of the butter. REPEAT until all the ingredients have been used and TRANSFER them to a baking tray lined with parchment paper. COAT the top of the rolls with melted butter and bake them in the oven for about 15 minutes, or until they’re golden brown and crispy. We served these rolls with sticky rice and tomato salsa. Enjoy!